n earth is not an easy feat. If possible, the celebrant can sample the opinions of the dead, and he/she will know that he/she is extremely lucky to enjoy their 40th birthday. Thus, just making it to become this milestone age calls for celebration! Generally, coming up with exciting and fun 40th birthday ideas is not an easy feat. When it comes to milestone ages that are close to the dreaded middle age, the job of looking for witty birthday ideas that will be appreciated by the celebrant becomes much more difficult. Well, one of the reasons why it is difficult to come up with fun 40th birthday ideas people is that no one but the birthday boy or girl knows how they really feel about his/her 40th birthday. This factor makes coming up with a birthday plan for 40-year-olds extremely tricky. No one wants his choice of birthday idea to generate the wrong type of feeling for the celebrant. Since people, generally, want the celebrant to enjoy their birthday, they will need to be very careful on the kind of birthday party they want to give to people celebrating their 40th birthday. You don’t want to ruin this landmark moment of the celebrant’s life by coming up with a wrong birthday idea. Despite the fact that many people have mixed feelings concerning their 40th birthday, there are still some birthday ideas that can never go wrong. These ideas lighten up the spirits of people who are just joining the 40-year-old club, even those that are scared of approaching their middle age. Since new members to the forty-year-olds club need some cheering up and lots of assurances, there is no better way to welcome them than giving them a amusing and thrilling birthday celebration. 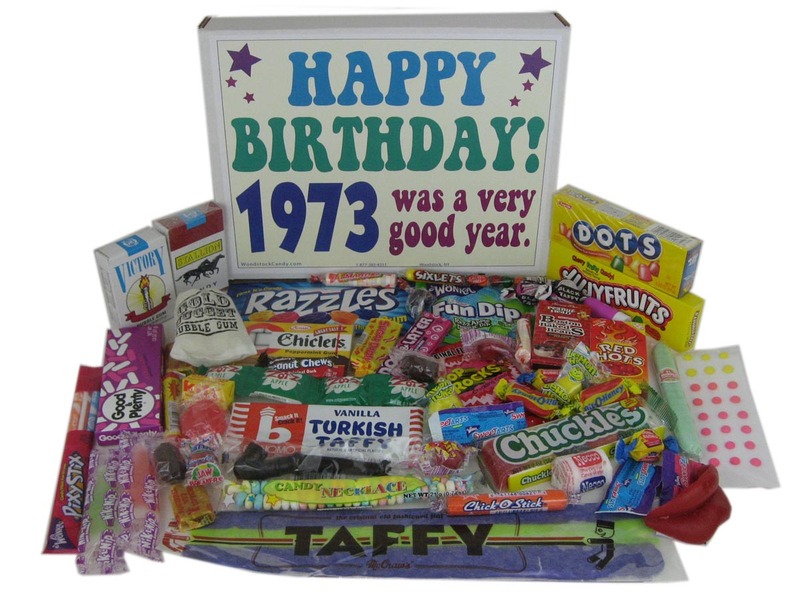 1970’s Nostalgia Candy: People celebrating their 40th birthday were born in the 1970’s. Thus, a 1970 nostalgia candy will remind them of their care-free, calorie-counting-free candy-eating days. By giving the celebrant their favorite 1970’s nostalgia candy, you are not only reminding them of the good old days but also of their amazing journey on earth. 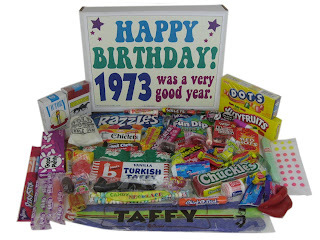 Many birthday celebrants enjoy taking a trip down memory lane, which can be stimulated by a nostalgia candy. Just the unique scent can bring back feelings and thoughts long forgotten. Over The Hill Parking Permit: This is a great gift for both those who are excited and nervous about their entry into the club 40. This fake permit is a nice reminder of the benefits that come with aging. Retirement Clock: This will work best for those celebrants who are excited and frankly amazed that they’ve managed to stay alive this long. This amazing clock portrays the beautiful life associated with retirement and tells the celebrants that those days are getting closer and closer. The retirement clock can be adjusted to countdown the celebrant’s current age to his/her retirement age.